OS X 10.10.2 build "14C81f" is now available to developers on the Mac App Store or through Apple's Dev Center website. Testers have been asked to focus on Wi-Fi, Mail, and VoiceOver when sampling the pre-release software. The second beta of OS X 10.10.2, identified as 14C78c, shipped to developers last week and also asked them to focus on changes made to Wi-Fi assets. The first beta arrived two weeks before that. 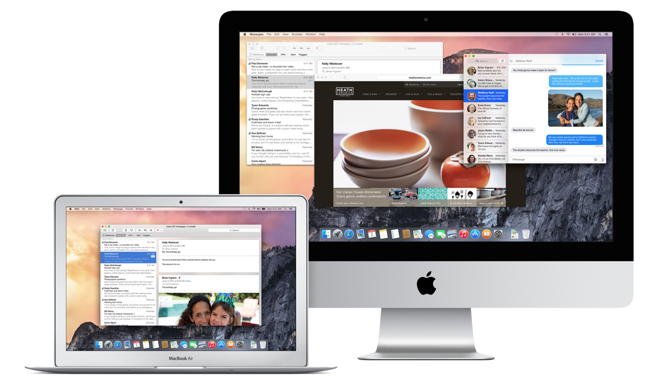 Apple last OS X 10.10.1 update arrived in November to fix Wi-Fi issues, Mail compatibility and general bugs. Despite the updated code, some Mac users continued to see slow Wi-Fi speeds.